I am writing this column on Halloween day. It is a pretty day and the leaves are in their full fall glory. Washington University Law School. We look forward to welcoming Maya to our family. 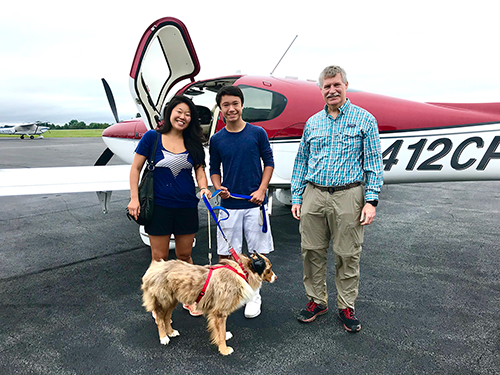 Recently, Leigh and I have found a way to combine two of our passions: flying and helping animals. know that we participated in saving a dog’s life and bringing joy into someone’s home.